Expecting a run on this model, Porsche 918 Spyder Pallet-load Sales is the merchandising solution. Stacks of palettes and boxed Spyders stretch into the distance, with a demo model available for test-drive in-store if need be. But don’t be slow. Not only is this a fast Porsche model, but sales will be brisk too. 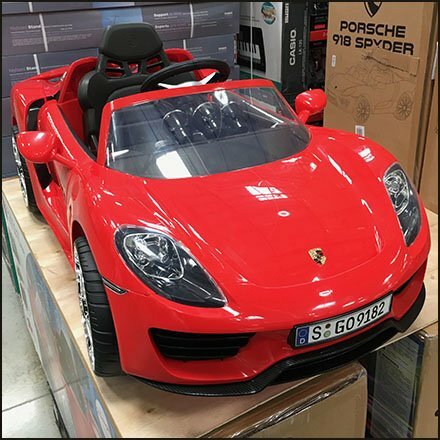 If interested this Pallet-load Porsche 918 Spyder Sales opportunity courtesy of Costco, Allentown PA.
In-Line Pallet Merchandising Images Courtesy of CAEM, Italy. “Pallet Rack and Pallet Pinterest Board“ visual summary. “Pallet Rack and Pallet Index Page” for all resources.